Finally I have landed. I have been on the road for around three months with only small gaps in between, so writing here has been shelved for quite some time. Anyway, I now have a month off, so expect to see some new writings of different sorts on a more frequent basis. Despite weather and autumnal conditions that were slightly lacklustre, the Lake District yielded some very interesting results. I was up there for a total of twelve days, with a brief pitstop record shopping in between. I had a variety of different bits of kit with me, a full digital system which I used most of the time and my large format 6x12 equipped camera. 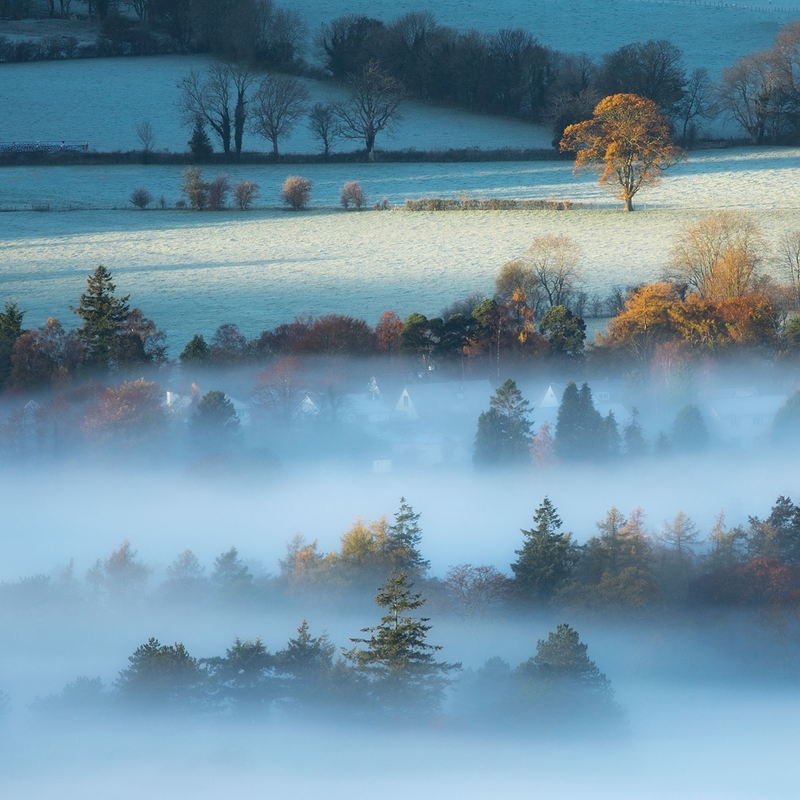 Long lenses were the just the ticket, from making large stitched panoramas to this square image. The camera is placed into a 1x1 crop ratio. It's a trick I love to do, as firstly it doesn't mean you cannot access the 3x2 RAW file but lets you compose square images with thought. This is taken at 560mm with a 1.4xIII convertor on the Canon 100-400mm lens. The air was thick as soup, rippling and distorting the detail as the sun rose, so it was imperative to shoot at the right moment with live view engaged. This image is take on Ektar 100 film, a colour negative that produces saturated colours but presents them in a different way to the slide film. It's the same composition as a shot I took last year and was was nice to see it on a different medium. A sunset from behind Great Gable produced a very interesting result on Velvia 50, adding its signature look. This was shot at 300mm, which is a bit hard to understand. You have to divide the focal length by three, so it's a 100mm in 35mm camera terms, if that makes sense. It's got a 2 stop hard step Lee Filters Grad over the highlights. 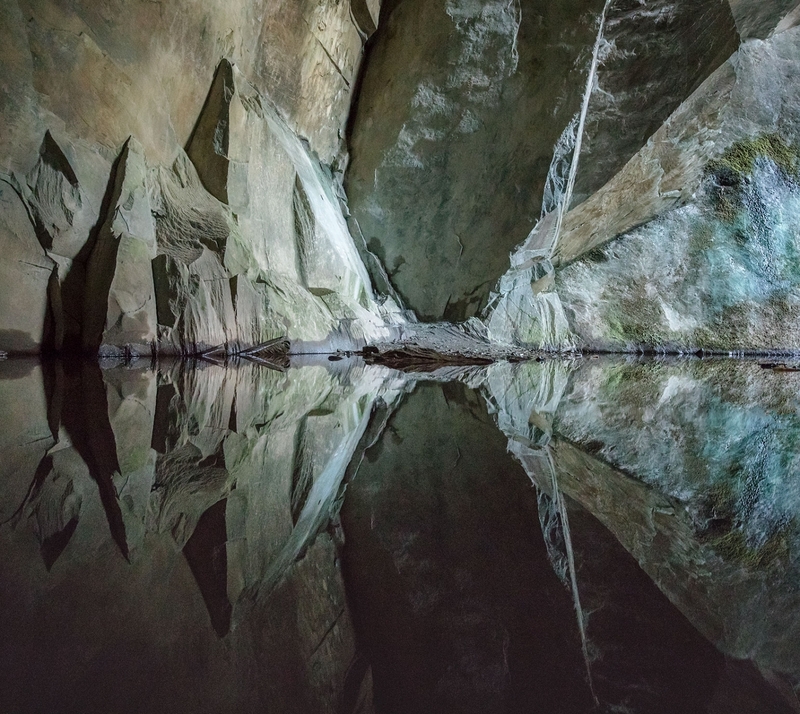 The workshop wouldn't be complete without a trip to Cathedral Cave, in Little Langdale. Due to heavy rainfall, part of the cave at the rear had flooded, which gave a new compositon I hadn't seen before. The colours in those rocks are very subtle indeed, even containing some copper blues that seem to ooze from the walls in key locations. The camera is an inch above the water. 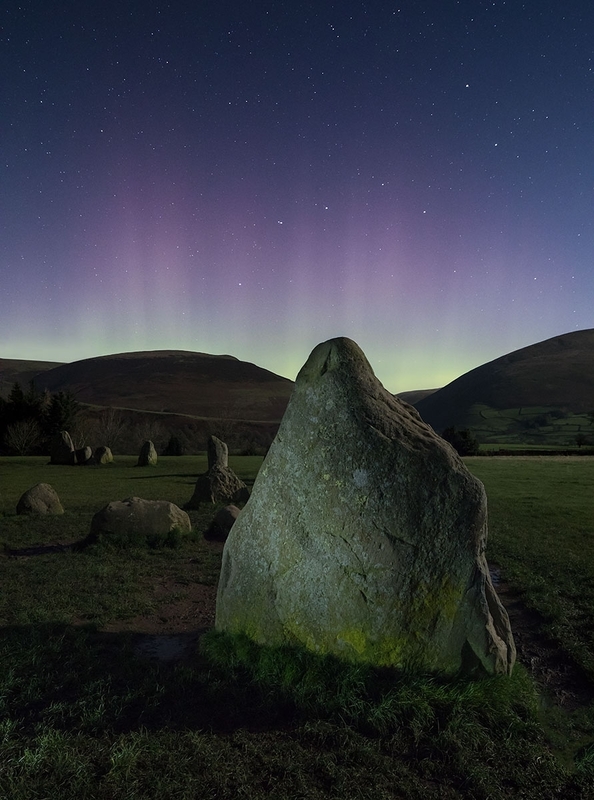 And finally, there's this remarkable moment, when we managed to get aurora over Castlerigg Stone Circle. There was just a minute of good activity, captured whilst giving a light painting tutorial. It's the first time I have photographed it in the UK but not my first sighting. The last English sighting was on my drive in South Devon in 2001, where I spotted strange crimson hues in the sky, before I even began photography. I did see a very memorable aurora near Exeter in 1987, huge green lines extending into the skies... you can now see where all this star gazing began. Next Years Tour - this will be launched after Christmas in January 2018, so look out for that.